The MMC64 by individual Computers gives you the possibility to read MMC (MultiMedia Card) and SD (Secure Data) cards with a maximum size of 4 GB with your C64. Use your PC/Mac/Amiga with a card reader to fill the card with software. The MMC64's built-in filebrowser expects PRG files, which are native C64 program files. Because of a flashable BIOS (Basic Input Output System) you can update the firmware anytime. The features of the MMC64 can be enhanced by several plugins. Q: Does the MMC64 completely substitute a disk drive? A: So-called "one filers" ending with .prg (the vast majority of the C64 software) work without any problems with the MMC64. Since larger games or other programs which boot further files from disk will not work just like that, you cannot really call the MMC64 a fully-fledged disk drive substitution. There is a workaround, namely the DFI Plugin, a multiload file system which uses an alternative container format. However, any multi filed software in question has to be adapted sperately to make it DFI functional. Q: How far does MMC64 support attaching D64 images? Keep in mind: Use at your own risk! We are not responsible for damages caused by the use of programs/demos/tools/plugins listed below. The listed applications have not been developped by Protovision or on its behalf. There is no business relationship between Protovision and the authors. In the case of problems with one of the listed applications contact the respective programmer. AVF Plugin V0.30 by Oliver Achten/individual Computers - plays an MMC64 proprietary video format that also utilizes the MP3@64 module (MP3@C64 is supported, but can unfortunatly not be used with MMC Replay). CHR Plugin by DrCreep - reads disks and creates D64 images. D64 Writer 0.92 by Kratznagel - writes D64 images to disk in about 80 seconds. DFI Plugin by Doc Bacardi - DreamLoad for MMC64 (Retro Replay recommended, so many IDE64 fixed multiload games can be run). KillFC3 (prg) by TNT/Beyond Force - turns off The Final Cartridge 3 cartridge. Makedir Plugin by Oliver Achten - creates a directory on the MMC/SD card. MMC64 .BIN Plugin (Retro Replay flasher) by TNT/Beyond Force - erases + flashes ROM files to Retro Replay in only about 13 seconds. 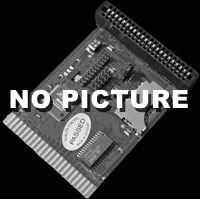 MMC64+RR disk image mounter by TNT/Beyond Force - allows mounting up to ten D64/D71 images with MMC64 + Retro Replay. MMC64 Boot Manager by FMan - offers a menu at reset time and lets you choose what you want to do. MMC64 Browser by TNT/Beyond Force - alternative filebrowser, supports attaching D64/T64 images. RAW Sample Plugin by TNT/Beyond Force - plays .raw files with 15 MHz 8 bit Mono. REU Plugin by Hannenz - saves and restores REU contents to/from a file. T64 Plugin 0.07 by DrCreep - mounts T64 files. FAT compatibility: FAT 16 only. The following multiload programs can be run directly from MMC64, even without Retro Replay. You only need to install the DFI Plugin. When starting, select "Dreamload" and confirm loading the boot file by pressing RETURN. Arc64 - an archive processor for Amiga to list and extract files from P00, T64, Arkive, D64, D81, ZipCode and Lynx archives. Arc64 by Graham is a small tool to deal with D64, T64, LNX and ZipCode archives. 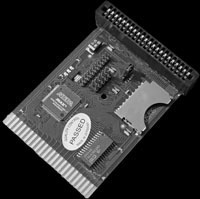 It also can be used to transfer and start PRG files directly on the C64 via RR-Net and CodeNet. 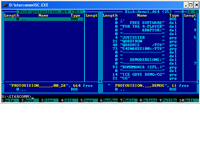 DirMaster - a Windows-based GUI tool useful for the management of common (and uncommon) emulator formats (such as .d64, .d81, .t64, etc) as well as native archival formats (such as .arc, .sda, .lnx, etc). DiskImagery64 - a portable drag & drop D64 Disk Image Editor for Mac OS X, Linux and Windows. und64 is THE C64 archive file processor for Amiga. This program is designed to list/test or extract from the following C64 type archives: .d64, .x64, .t64, .p00, .lnx, .lbr, .sfx and .crt.